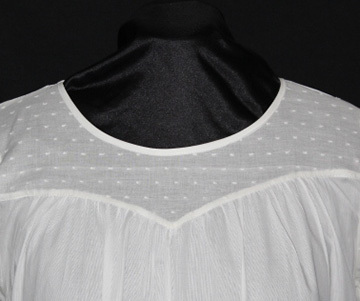 100% Organic Cotton Blouse with sheer shoulder and sleeve. Beautiful sweetheart design on chest. The back of this gown is slightly longer than the front.